If you are convicted of Florida DUI – or even if you refuse to submit to a breathalyzer – odds are high your license will be suspended. This is a temporary situation, though we understand it can feel like a huge inconvenience. In some cases, we know it has cost people their jobs, educational opportunities and more. As our Fort Lauderdale DUI defense lawyers at The Ansara Law Firm can explain, you will lose your license immediately upon arrest or refusal to submit to a breathalyzer test. Following an arrest, you will be given a “temporary license” in the form of a DUI citation that is only good for 10 days. Within that short window, you will have an opportunity to appeal to the Florida DMV. Otherwise, it becomes an automatic administrative suspension. The best way to avoid license suspension is to avoid DUI conviction. That’s where our experienced defense attorneys can help. We might also be able to negotiate or argue for a lesser suspension. We work to help you minimize the consequences of these serious charges. A first-time DUI conviction results in a suspension that will last anywhere from 180 days up to a full year. A second-time conviction within five years of the first will result in a five-year driver’s license revocation. However, if our DUI defense lawyers can prove you have a hardship and need to drive (as we often can do, given that most people require a license to be able to get to work, school, childcare, etc. ), we may be able to argue you should be reinstated within one year. This hardship license will limit the places to which you can drive. A third-time conviction for DUI in Florida will result in a 10-year revocation, with the chance to obtain a hardship license after two full years. If you are convicted a fourth time, the court will impose a permanent revocation of your driver’s license. If you are convicted of DUI manslaughter, you will also have your driver’s license permanently revoked. However, you will have the opportunity to apply for a hardship reinstatement license after five years. If you are convicted of vehicular homicide, you will face a three-year license revocation. Obtain special auto insurance and complete an FR-44, verifying you have auto insurance liability coverage. Further, as the FHSMV notes, if you wait until the revocation period ends to have your license reinstated, you will need to produce proof of enrollment/ completion of DUI school and treatment (if required). Failure to do so will result in license cancellation. At the time of your reinstatement – regardless of whether this is a hardship license or a full license – you will need to take an examination if required. When your driver’s license is suspended, you become completely dependent on your family members, co-workers and friends for transportation and to run important errands. Many people face the possibility of being fired or having to drop out of school. Your first – and maybe best – chance to save your license involves showing to the DMV Administrative Hearing with your attorney. If we can convince the administrative law judge that your arrest and/ or charges were unlawful, invalid or contestable, we may have success in asserting your license should be returned to you, at least until the final outcome of your DUI case is decided. 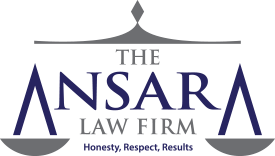 When you hire the DUI defense lawyers at The Ansara Law Firm, we will immediately request an administrative hearing. We will attend that hearing, which will give us an opportunity to cross-examine all relevant witnesses, including civilians and law enforcement. In addition to giving us an opportunity to fight for your right to retain your driver’s license, the evidence obtained at the hearing will also help us gain some insight into the strength of the prosecution’s case. The hearing will also give us an opportunity to present the best evidence and the strongest argument that your right to drive should be preserved. Best case scenario, our license is reinstated and you can drive without restriction. However, even if the hearing officer chooses to uphold your suspension, he or she may still decide to issue a “hard time” suspension, during which you cannot drive for any reason. However after that time, you can apply for a “hardship” suspension, during which your right to drive for certain purposes (school, work, doctor, religious services, etc.) will be granted. Our experienced DUI defense attorneys will explore all your legal options, including plea bargains, defenses and other options.